Bob Smith, the pioneering gay comedian and award-winning writer, died Saturday [January 20, 2018] in his New York City home from complications from ALS, his rep told The Hollywood Reporter. He was 59. The comedian is best known for being the first openly gay male comedian to star in his own 30-minute special on HBO, which he did in 1994, and to perform on The Tonight Show with Jay Leno. Smith was also a prolific and decorated writer, penning the autobiographical essay collection Openly Bob (1997), which won the LAMBDA Book Award for humor. In 1999 Smith was nominated for another LAMBDA for his second collection of essays, 1999's Way to Go, Smith. In 2016, Smith published his last collection of essays, Treehab: Tales from my Natural Wild Life, which he wrote in the midst of battling ALS and using his one functional hand on an iPad. Smith also wrote the novels Selfish & Perverse (2007), a finalist for the Edmund White Award for Debut Fiction, and Remembrance of Things I Forgot (2011), nominated for a LAMBDA for Best Gay Fiction and shortlisted for the Green Carnation Prize. Smith is survived by his mother Sue, his brothers James and Gregory, his partner Michael Zam — the co-creator of FX's Feud: Bette and Joan — and his children Madeline and Xander. Bob Smith was born in Buffalo, New York. Smith, along with fellow comedians Jaffe Cohen and Danny McWilliams, formed the comedy troupe Funny Gay Males in 1988. 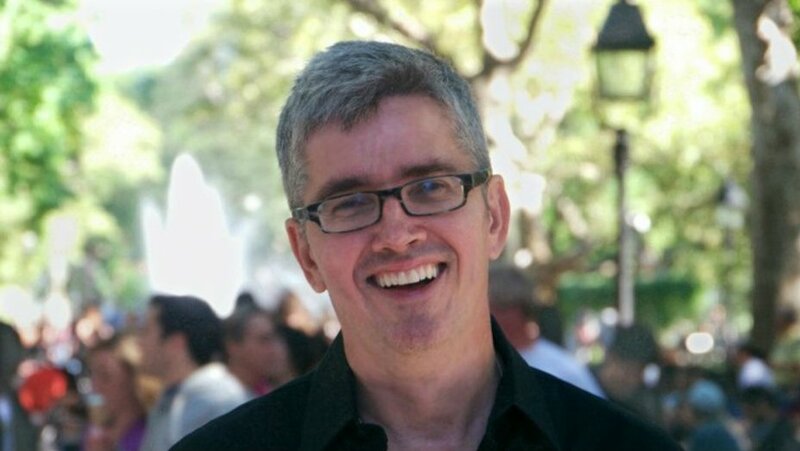 With Funny Gay Males, Smith is the co-author of Growing Up Gay: From Left Out to Coming Out (1995). Smith published his first novel, Selfish and Perverse, in 2007, and Remembrance of Things I Forgot in 2011. He performed at the inaugural We're Funny That Way! comedy festival in 1997, and appeared in the festival's documentary film in 1998. While taping a 2007 comedy special for Logo, Smith disclosed that he is suffering from a neurological disorder. He described his symptoms at that time as slurred speech, making him sound inebriated. In response to an August 2012 New York Times article on openly gay male standup comedians, Smith posted a comment stating he had ALS. On February 2013, Smith gave a candid interview to Canada's Global News, where he elaborated about his condition. The article also revealed that Smith assisted with the conceiving of fellow LGBTQ comedian Elvira Kurt's children, who, with Kurt, reside in Canada.